We’re still eating the leeks, carrots, cabbages and celeriac we planted last year. 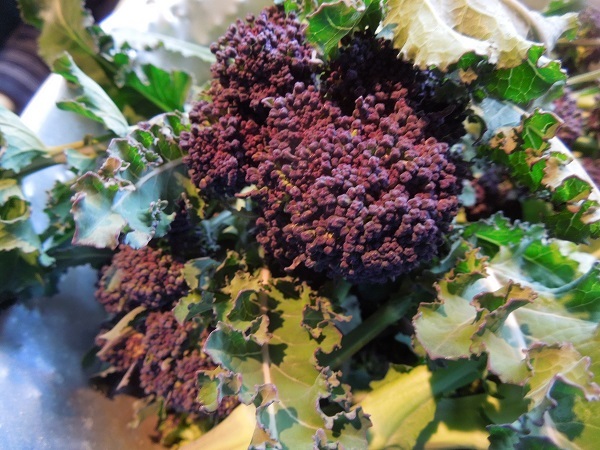 And although summer’s broad beans and peas, courgettes and tomatoes are still a twinkle in my husband’s eye, we have our first crops of purple sprouting broccoli and rhubarb. I know we’re talking rhubarb, but isn’t the broccoli beautiful? Rhubarb is lovely simply oven-cooked with a little sugar. If you want to get a bit fancier, you might like to try my rhubarb fool, rhubarb parfait or rhubarb and ginger ice cream. You can find the recipes here. Or sample a scrumple. 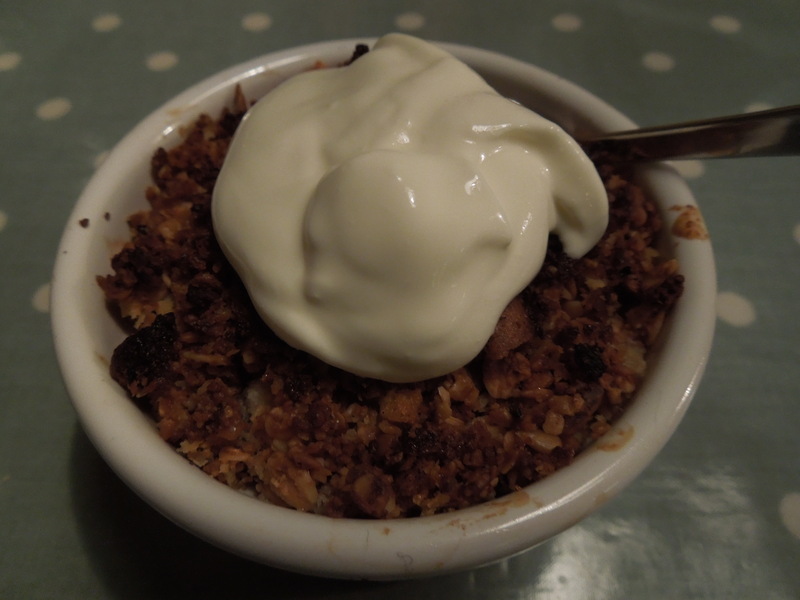 It’s a bit like a crumble, but lighter and more scrumptious. And yes, I made the name up. Heat the oven to 400F/200C/Gas Mark 6. 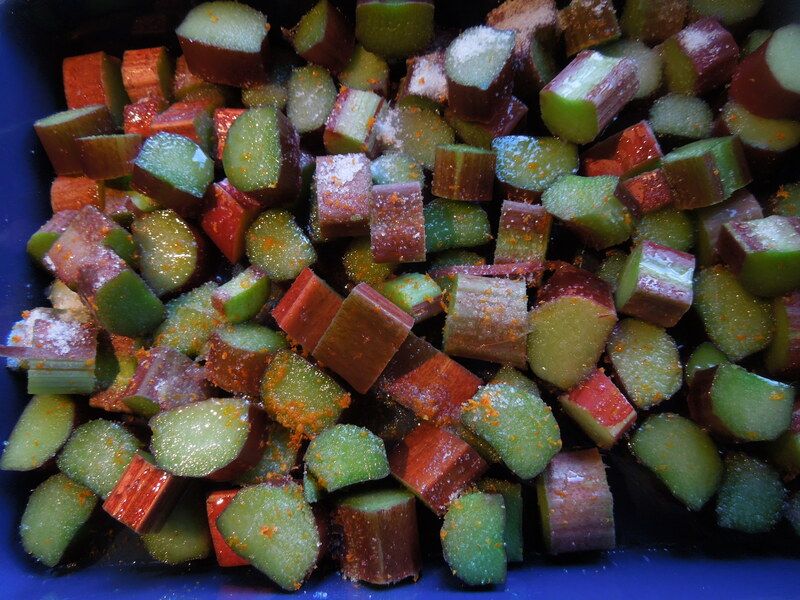 Cut the rhubarb into short chunks and place in a large shallow dish. Strew it with sugar, pour over the orange juice and sprinkle with the orange zest. Give it all a quick stir. Bake, uncovered, in the oven for 15 minutes or until the rhubarb can be easily pierced by the tip of a knife but still holds its shape. 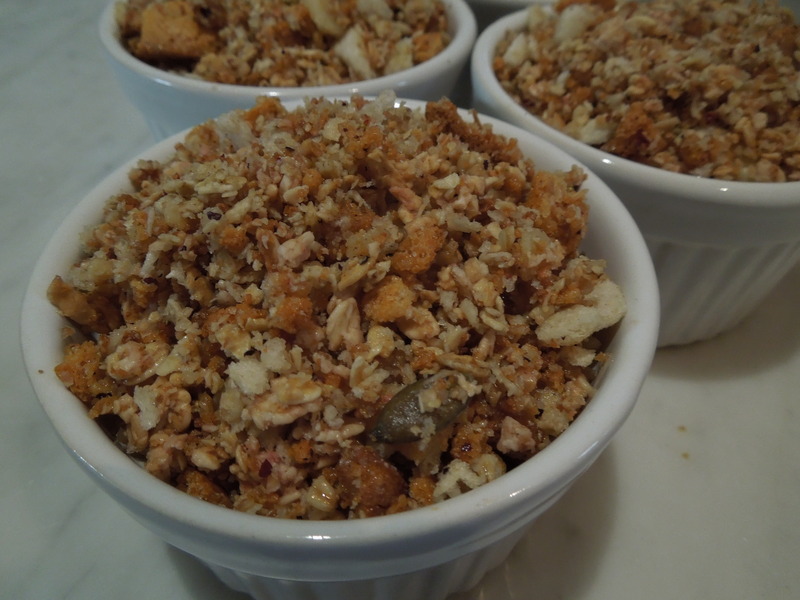 In a bowl, mix the topping ingredients together, stirring to coat lightly with the melted butter. 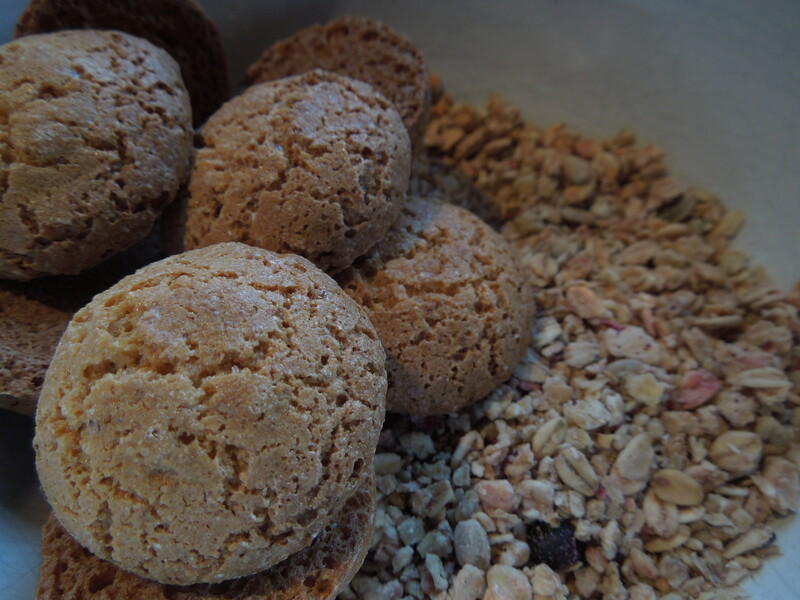 You shouldn’t need to add sugar as the granola and Amaretti biscuits are sweet already. 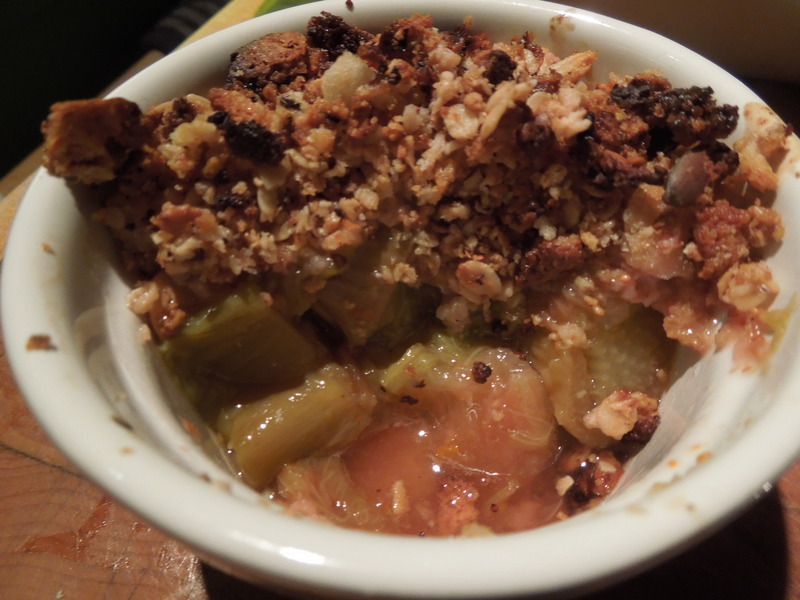 When the rhubarb is done, spoon it carefully into four individual ovenproof pots. 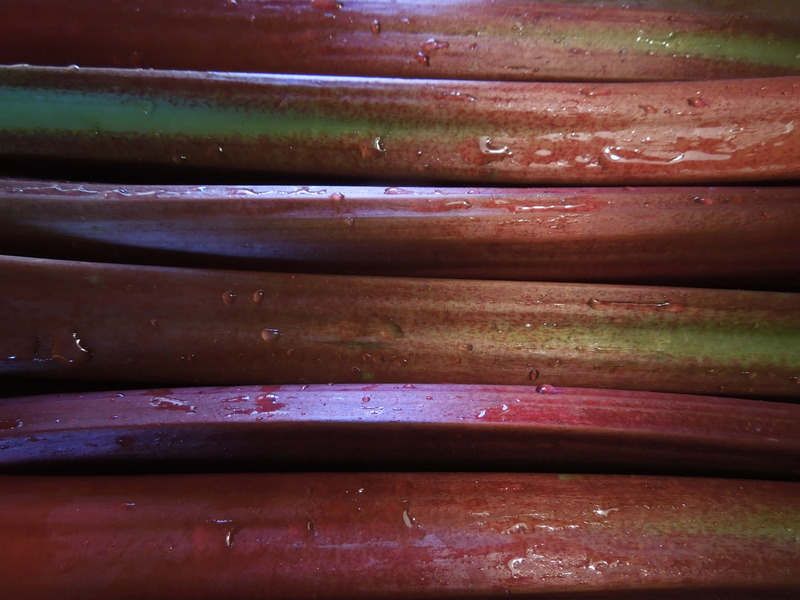 Don’t overdo the liquid, rhubarb produces a lot and you won’t need it all. Sprinkle each pot liberally with the topping but don’t press it down. Bake in the oven for around 10 minutes or until heated through and turning golden brown on top. 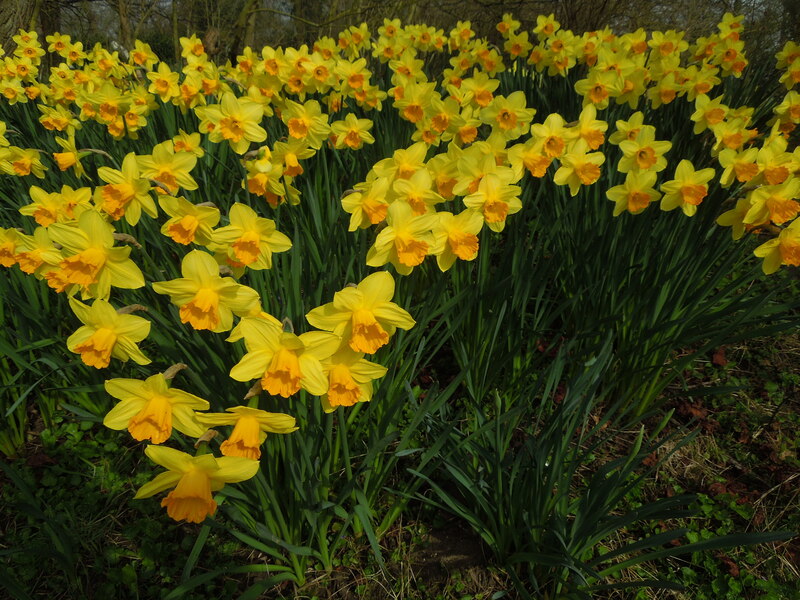 Serve with your choice of cream, ice cream, creme fraiche or custard. This entry was posted in Desserts, cakes and biscuits, Fruit, Vegetarian and tagged rhubarb and ginger ice cream, rhubarb fool, rhubarb parfait, rhubarb scrumple by Linda Duffin. Bookmark the permalink. Thank you. It’s a combo that seems to work well. I clicked on this hoping it would be something boozy. 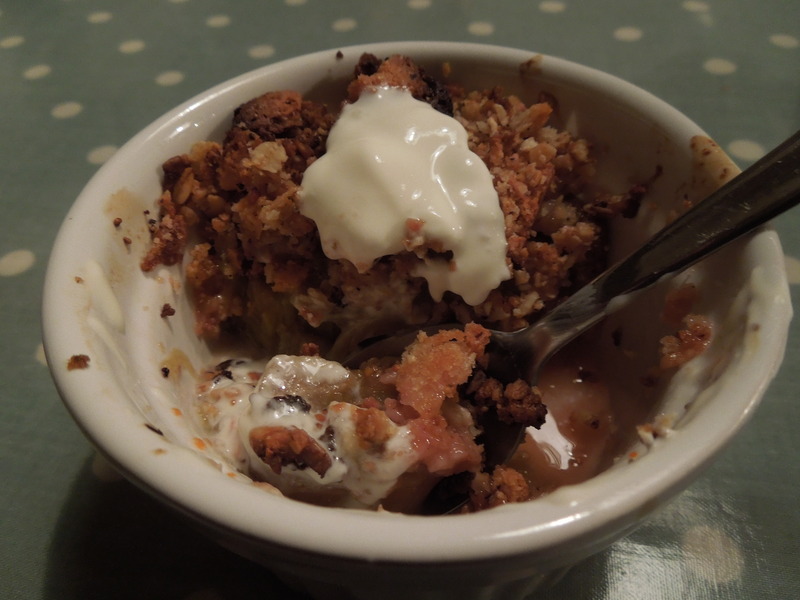 Nevertheless, this is a great take on the crumble. I’m already thinking where I can get some amaretti from. It’s one of the great joys of spring for me, the first crop from the rhubarb plant. Like scrumpy? I never thought of that but it’s an idea … !! Yes! Can you tell I grew up in the West Country? I am currently experimenting with something rhubarboozy, no doubt it’ll appear on the blog soon.